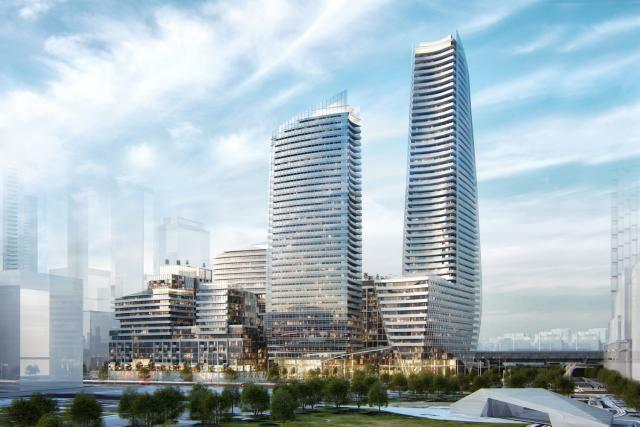 Following the submission of a Site Plan Approval (SPA) to the City of Toronto earlier this year, Greenland Group (Canada) have revealed detailed official plans fo a large master-planned community located on Lake Shore Boulevard East. Sitting on one of the largest remaining parcels of land in Toronto’s rapidly growing East Bayfront, plans for the site — now dubbed Lakeside Residences — call for even towers and over 30,000 square feet of retail, bringing upwards of 2000 new residential units to the nascent neighbourhood. 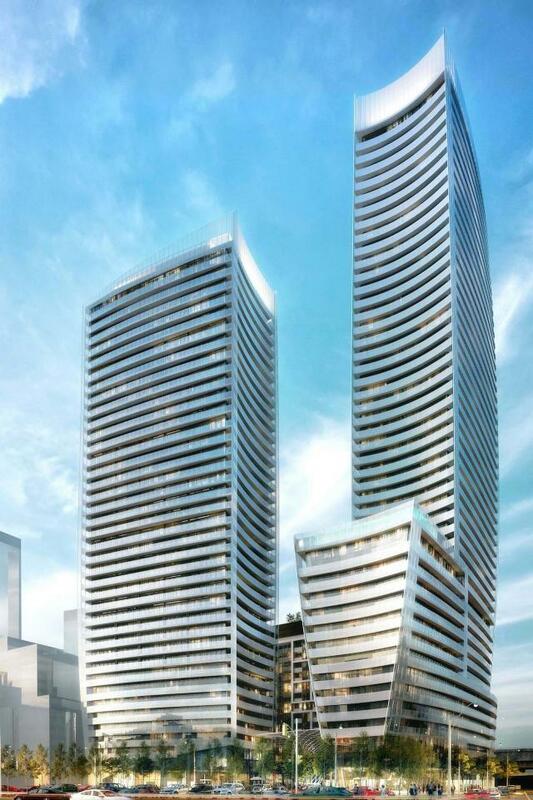 Lakeside Residences will add to the fast-paced transformation already underway on the Toronto Waterfront. Conceived as one of North America’s largest urban renewal projects, Waterfront Toronto is transforming the East Bayfront area with investment from the private sector and all levels of government, including Canada’s first ‘smart cities’ neighbourhood next door on Lake Shore by Google’s Sidewalk Labs. The Hariri Pontarini concept plan for Lakeside Residences. Image via Greenland Group. Informed by its location, Lakeside’s dynamic architecture by internationally-recognized firm Hariri Pontarini Architects contributes a bold addition to Toronto’s waterfront skyline and public realm, linking urban life to the lake while creating a vital mid-block connection to the downtown core, financial district and St. Lawrence Market neighbourhood. A closer look at the 49-storey height peak. Image via Greenland Group. Sailing above a central courtyard, Lakeside’s distinctive soft form creates a sense of connection, privacy and community. The tallest two towers, spanning 49 and 39-storeys frame the block with a sculptural silhouette offering a unique materiality and reflective quality of light. Fritted glass balconies taper and flare, illuminating the tower’s edge defining its presence on the lakefront with a soft glow. “Greenland Group (Canada) held an international design competition for the project and we were instantly intrigued. Greenland has demonstrated an ambition to do something of significance and quality on the Toronto Waterfront and Hariri Pontarini Architects is excited to be a part of it”, says David Pontarini.